If you’ve been here before, or you know me, you’ll eventually learn that I built my own Hot Air Balloon, from scratch… For a little background on that story – see my Hot Air Ballooning page. Over and above building the envelope, which a few people have done, I also built the basket, which is something that almost no-one has done. Building a safe, strong a light basket was my primary objective, and there was nothing on the market that even came close to what I wanted, so I decided that building it was the only option. I’m really happy with the results. So I attended an event called XLTA8 last month, it’s the eXperimental Lighter Than Air meet, the 8th edition of it, held in New England in the United States. It’s basically a bunch of like-minded home-builders of Hot Air Balloons. We didn’t get to do much flying given the weather, but we did get to chat alot, and I got to show off my finished home-built basket. While chatting with these folks, it seems that there have only ever been 2 Balloons Baskets that have ever been built with Glass Bottoms, and one of them is a Gas Balloon, not a Hot Air Balloon. So my eXperimental (In Canada we call them amateur-built) Hot Air Balloon Basket has a Glass-Bottom. Unlike the other balloon in the UK, I fly it regularly here in Canada. I’ve flown it in winter at -15 C as well as in the summer and fall. 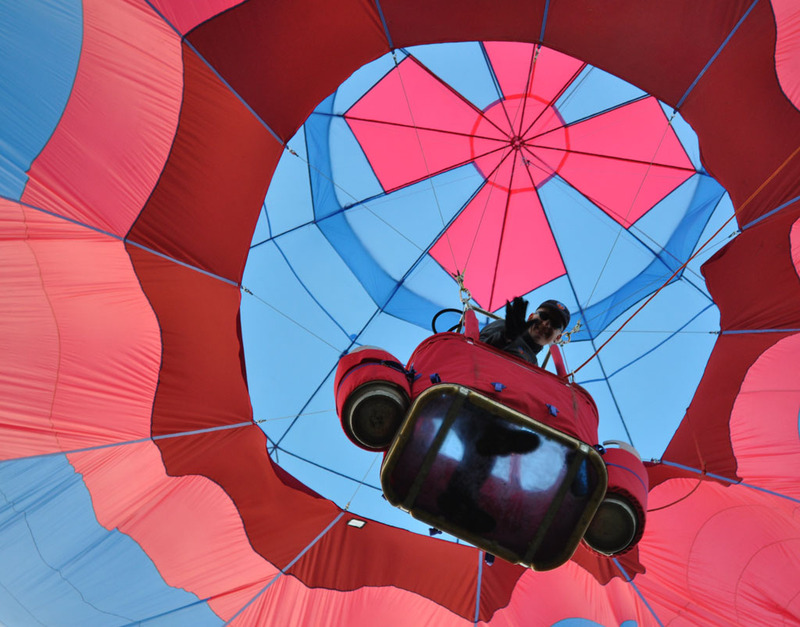 So I’d like to submit that while my Balloon Basket may not be the first nor the biggest, it’s probably the only regularly flying Glass-Bottom Hot Air Balloon in the world, and certainly the only currently flying experimental Glass-Bottom Balloon in the World.